Above: Ice Blue available in four sizes. Note: Most coolers are oversized and additional shipping charges may apply. Additional shipping charges will be quoted after the sale for your approval prior to shipment. 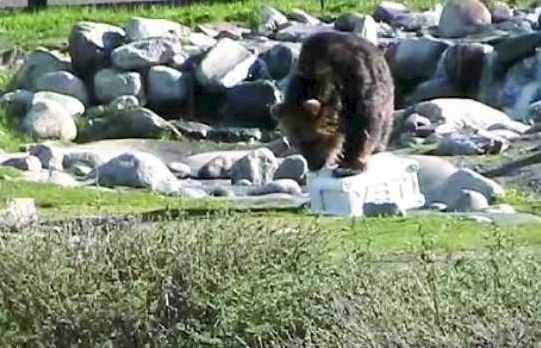 The Interagency Grizzly Bear Committee (IGBC), a board overseen by the U.S. Forest Service, has tested the Yeti Tundra 250 qt cooler and approved it as a Grizzly-proof container. 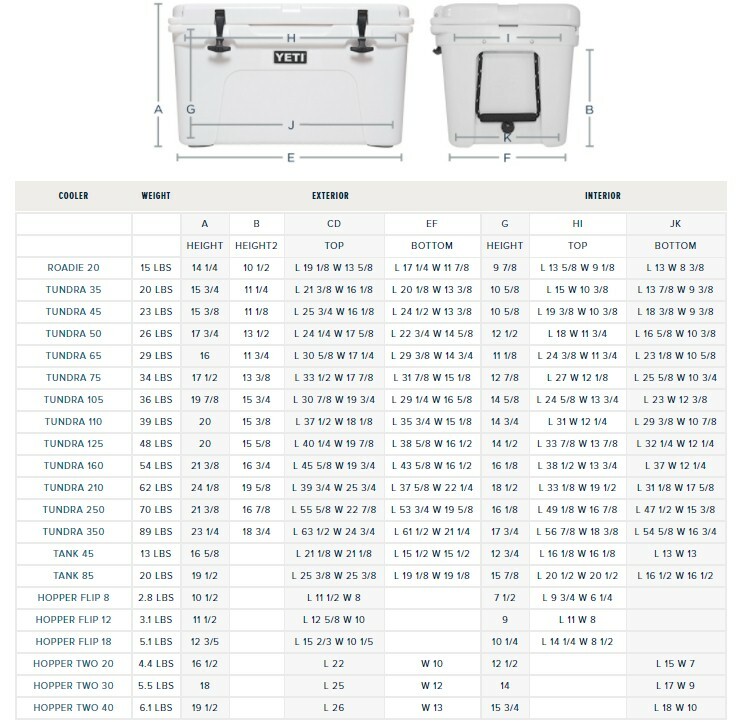 This means the entire line of Yeti Tundra Coolers (35, 45, 65, 85, 105, 120, 155 and now 250 qt.) have been deemed Grizzly-proof! "We're proud to be the first cooler to survive the IGBC tests," says Ryan Seiders, owner of Yeti Coolers," and proud that our entire Tundra line has passed the tests." 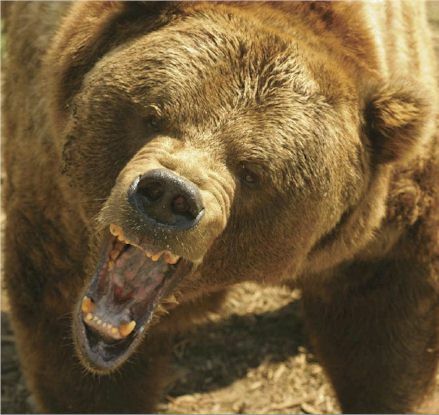 The IGBC testing simulates bear attacks and then subjects products to an hour encounter with two adult Grizzly bears. The ultimate goal is to eliminate accidental bear feeding. Once a bear is fed, it will come back to a campsite, typically necessitating that the bear be destroyed. So, not only will a Yeti Cooler protect your food, it will protect the bears, as well. Yeti's Grizzly-proof durability is the result of polyethylene, one-piece, rotational-molded construction, which is the same material and process used to make whitewater kayaks. The lids are also one-piece, molded and attached to the cooler body with a metal rod through a full-length hinge. The cooler can be securely closed through integrated padlock ports on both front corners. Padlocks are required for the cooler to be grizzly bear proof. 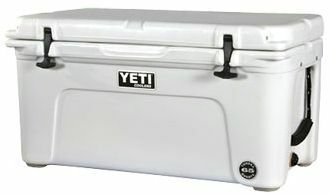 Yeti Coolers manufactures three series of high-end ice chests as the essential accessory to the marine industry. Yeti’s Tundra is the next generation cooler. Over 2” of insulation in both the body and lid are combined with a freezer-quality seal to create optimal ice-retention. The Sherpa Series is a durable rota-molded plastic cooler and the Fiberglass Series is the premium quality ice chest. All Yeti Coolers are well-insulated with high grade polyurethane foam and engineered with a sealing lid gasket for ultimate ice retention. 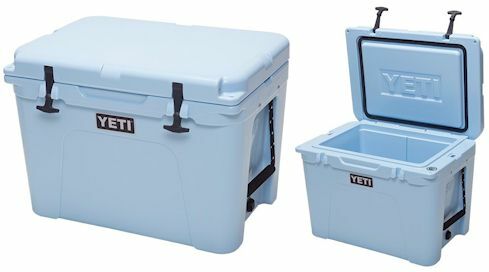 In addition to the exceptional insulation value, the heavy-duty hinges and the non-marking rubber feet places Yeti Coolers into a superior category. Yeti’s next generation cooler. Over 2” of insulation in both the body and lid are combined with a freezer-quality seal to create optimal ice-retention. The Roto-molded one-piece casing withstands high-impact use and harsh environments. Innovative features include integrated, heavy-duty T-Latches and molded-in, self-stopping hinges. In addition, incorporated rope-handles, non-slip/non-marking feet, and recessed leak-proof drain plugs are also Yeti original design. One piece roto-molded construction for durability. Filled with 2” of polyurethane foam to provide superior insulation. Freezer style sealing gasket to lock in the cold. Integrated tie-down capability for solid mounting. Strong rope handles with sure grip for an easy haul. Heavy-duty T-latches with molded-in keepers to fasten the lid securely closed. Lockable lid to keep the bears (or your friends) out! Constructed of food grade materials that are dry ice compatible. Non-slip / non-marking rubber feet to keep the cooler in place. Molded-in, full-length, self-stopping hinge, so you never have to replace a hinge again!